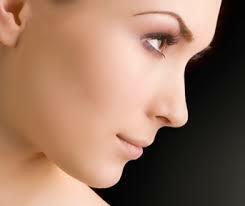 Rhinoplasty procedure has gained a vast popularity for a last few years. 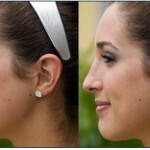 In simple words, this is a kind of surgical procedure done for reshaping the nose. Whether you need a long nose or a small, need to change the angle of your nose, correct bumps or any defects, Rhinoplasty or Nose job is a perfect and effective solution. However, when it comes to the worth of this procedure, it is vital for the patient to understand about the procedure of this surgery, there are both pros and cons. Nose job is quite a complicated task, so it is important for the patient to understand its procedure before going for it. During the surgery, the surgeons make incisions to way in cartilage and bone, supporting the nose. These incisions are made within the nose so that they are undetectable after the completion of the surgery. After the surgeon has provided the required nose shape, the tissue and the skin are rewrapped over the nose structure. Now outside the nose, a splint is placed that supports the new shape of the nose and help to get it healed. For additional support, nasal packing may be also used. 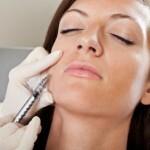 The procedure is carried out using local or general anesthesia. A proper executed procedure by an expert surgeon will show you result after the surgery. However, it is important that you and your surgeon may agree on the surgery goals for more effective results. Rhinolasty is a proven method that adds beauty to one’s appearance. Not only this, it also solves the clinical problems such as sinus and breathing issues. 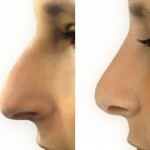 Rhinoplasty is one of the effective ways for the deviated Septum patients to improve their nasal contour. If the bone of the nasal is improper, you may feel nose blockage and constant mucus secretion and these issues may become permanent, resulting in snores while breathing. The painstaking post operative care is very crucial for getting the best result of the surgery. There are certain precautions that are very vital to take in order to avoid any kind of complications. For some time your nose may feel some kind of pain and numbness, but after some span of time, it may disappear. Swelling after Rhinolplasty is also a very common problem. Rhinoplasty is an expensive procedure. This means you have to spend ample money on the procedure, which is again a drawback of the nose job. Undoubtedly, with a few risks and benefits, we cannot conclude if the procedure is worth or not. All depends on the kind of nose job you are looking for and on the surgeon who is going to carry out Rhinoplasty Procedure.